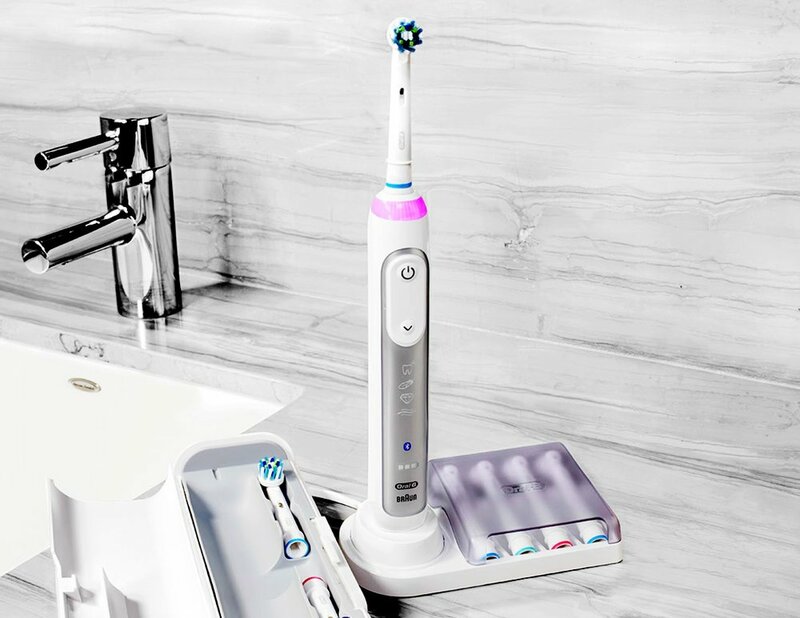 We are so excited to offer the new Oral B Genius power brush! We love them so much that every team member at our office is using one! This brush was created and inspired by the dental tools used at your cleaning appointments. So, every time you brush your teeth they will be looking and feeling as squeaky clean as they do after a professional cleaning! The Genius brush connects to your phone through Bluetooth to make sure you are brushing properly, and not missing any areas. By using your phone's camera and their Position Detection feature the Genius guides your brushing, zone to zone. It lets you know if you are brushing too hard, and when you have thoroughly brushed all areas! You can even personalize the light ring on your brush to your favorite color! If you want to see more awesome features, and see first-hand how this brush works, check out this awesome video by Gear Diary!